A visit by the Electro Kabuki team to this year’s PLASA exhibition at London Olympia revealed an industry as loud and lively as ever. Automation seemed to be a recurring theme. 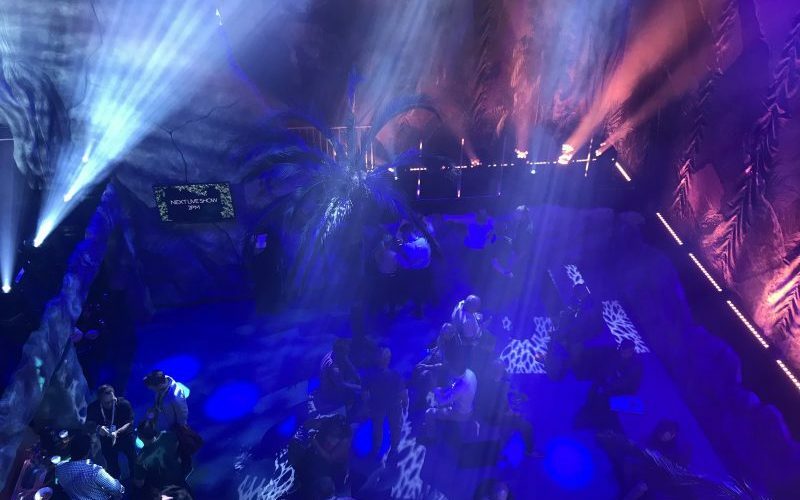 That notion was supported by what appeared to be even more companies offering automated solutions for staging events, large and small. That’s good. Automation is at the centre of our ambitions with Electro Kabuki. Even a modest investment in an Electro Kabuki starter pack or a basic system automates the reveal effect, making it dependable. Adding a DMX firing box automates it further. 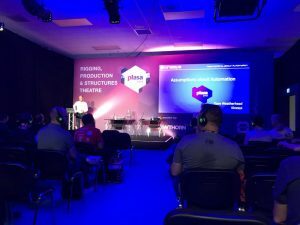 Among the seminars taking place in the four PLASA lecture theatres was a session entitled Assumptions of Automation, in the Rigging, Production & Structures Theatre. We sat in for the hour. Presenter Dave Weatherhead of Kinesys Projects covered aspects of safety measures and compliance in rigging in forensic scientific detail. Ironically, several of his examples covered the likelihood of items falling from rigging; with Electro Kabuki, we want items to fall from the rigging! Okay, that’s flippant. 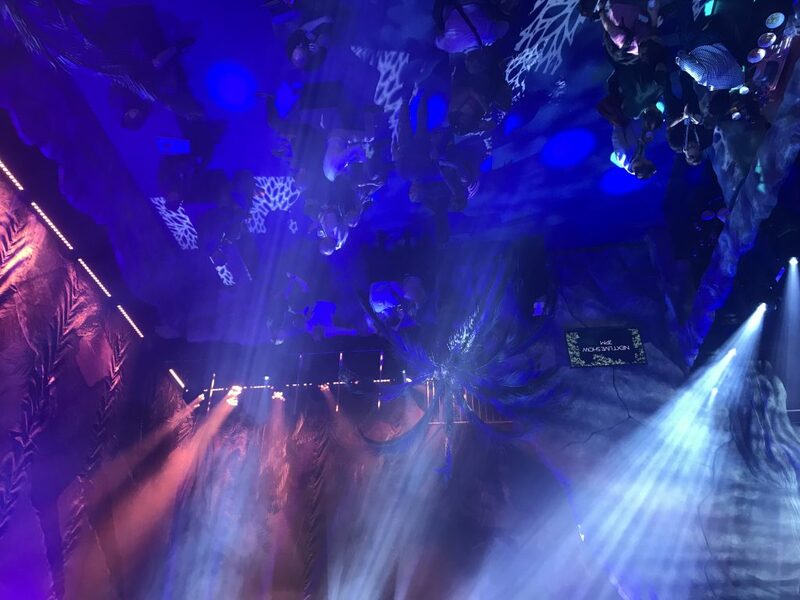 To put things in context, Mr Weatherhead was referring to calculating measures that prevent scenery, video walls and the like breaching the limits of their hoist mechanisms and falling on to the audience. With Electro Kabuki, our intention is only ever to enthrall the audience. Nothing more. Next year, we plan to return to PLASA as an exhibitor once again, taking a stand to show off the impressive capabilities of Electro Kabuki.